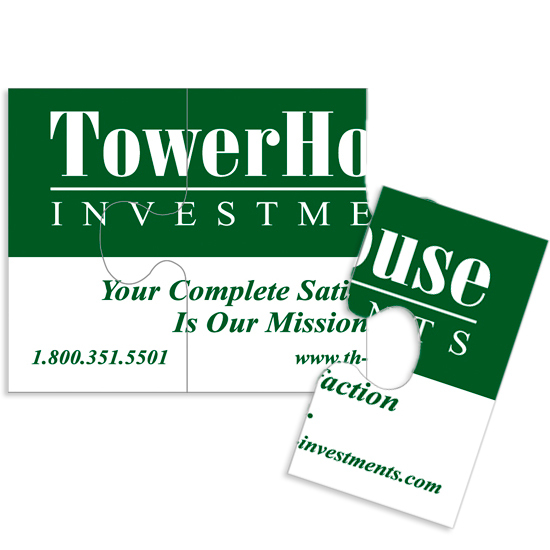 Standard Business Card Puzzle Magnet If you are trying to solve the "enigma" of a successful promotion, these magnetic business card puzzles could be the solution.Approximately 0.020 of material thickness and always-in-stock, these uniquely designed promotional giveaways can be customized with your company name, logo and/or contact information. Something a little different for handing out during networking events! WARNING: Choking hazard - contains small parts. Not intended for children.